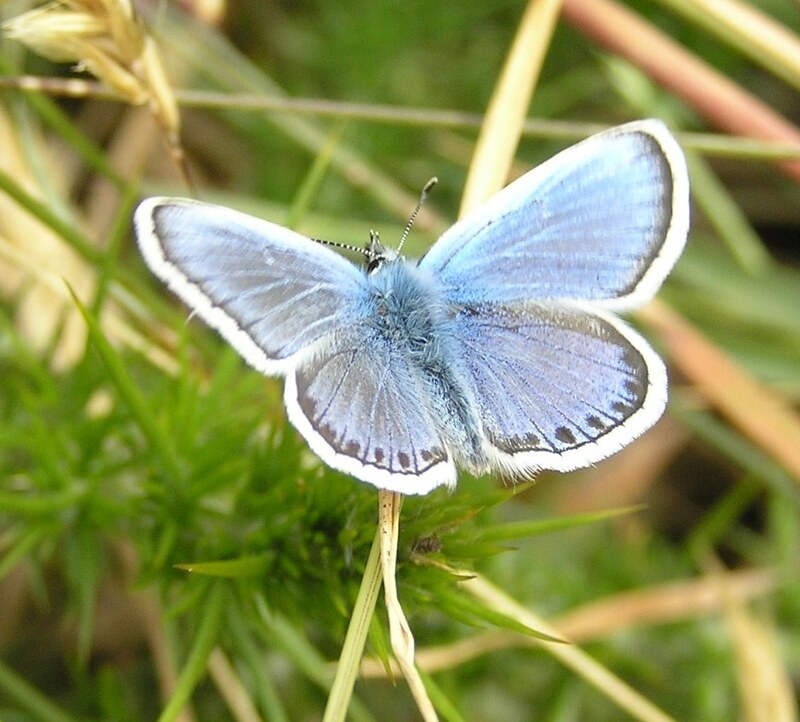 The Rowley Hills are an outstanding site for butterflies and moths, with a total of 21 butterfly and 7 day-flying moth species having been recorded there so far. This is due to the mosaic of different butterfly-friendly habitats – grassland, scattered scrub, old hedgerows, dense scrub, pasture fields and a few mature trees – which attract a wide range of both generalist and more specialised species. As well as more familiar butterflies such as Peacock, Red Admiral, Large White, Orange Tip, Small Tortoiseshell and Comma, several species present are of significant local importance – Green Hairstreak, Small Heath and Marbled White. 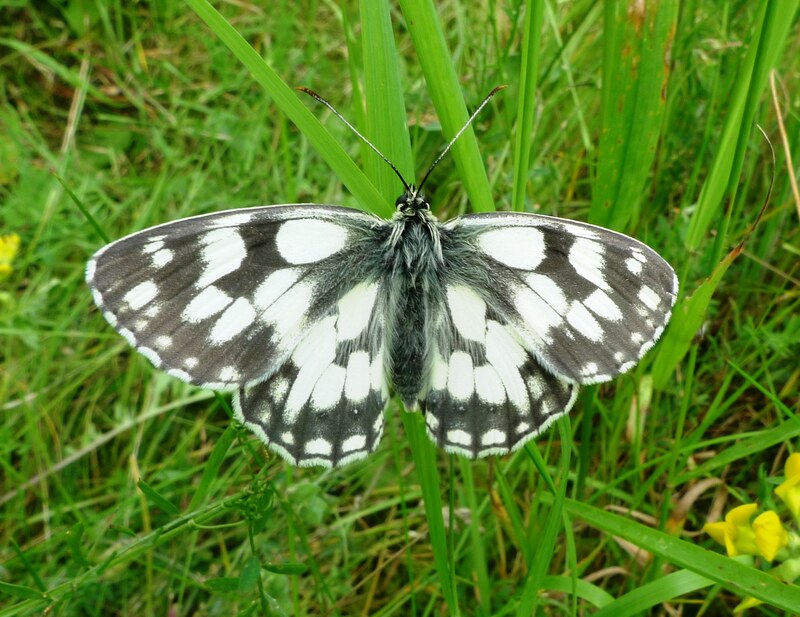 The Rowley Hills are particularly notable for being the site of one of the very few colonies in Birmingham and the Black Country of Marbled White (Melanargia galathea) butterflies. Predominantly this is a butterfly of southern Britain which in recent years has spread northwards and eastwards, and at some sites has been successfully introduced. Largely sedentary butterflies, not straying far, they are typically found in well-established, flowery grassland habitats, where females flutter among grassy vegetation randomly dropping or depositing eggs on to various grasses upon which the caterpillars feed. The best time to visit the Rowley Hills to see Marbled Whites is in late June/early July; on a warm sunny day at this time it is possible to see large numbers of these beautiful butterflies fluttering through the grass! It is vital that the Rowley Hills are protected in order to secure the long-term future of this thriving butterfly colony; visit the How you can help page to see how you can support us. A selection of photos showing all butterfly and day-flying moth species that have been recorded in the Rowley Hills so far. Click any image to enlarge. A quick walk this morning saw Small Heath, Common Blue, Speckled Wood, Orange tip and Green Veined White butterflies along with Burnet Companion moths and loads of Six spot burnet moth chrysalis ready to hatch!